Going to the movies is a timeless pastime, but that doesn’t mean it’s easy to advertise your new film. Facebook recently conducted a study exploring the movie sales journey where cold audiences turn into warm audiences into customers. This article walks you through the three parts of the sales funnel that will have moviegoers flocking to theaters to see your newest release. At the beginning of the sales funnel, focus on informing your audience, as opposed to pushing for a hard sell. It’s the phase where you should inform your audience about the movie using several different trailers. Your ads at this point should send buyers to the trailer’s website where they can learn more about the film. To inform your audience, run ads online and on social media. According to Facebook’s study, 58 percent of moviegoers discover new movies online. Also, 33 percent of all moviegoers buy their tickets online. So bring your trailer to where your audience spends a bulk of their time discovering new movies. When creating your trailers, design for mobile devices because the study also found that 51 percent of all moviegoers and 68 percent of young moviegoers discover new films when using the Facebook family of apps. Additionally, 57 percent of moviegoers ages 18 to 34 discover movies on their smartphone or tablet. To optimize trailers for mobile devices, format ads vertically and add captions for audiences who will watch them with the sound off. It’s very important that you target the right audience at the top of the sales funnel. You can do this using Facebook’s LookaLike Audiences and Custom Audiences. Also, target the right people interested in your genre. 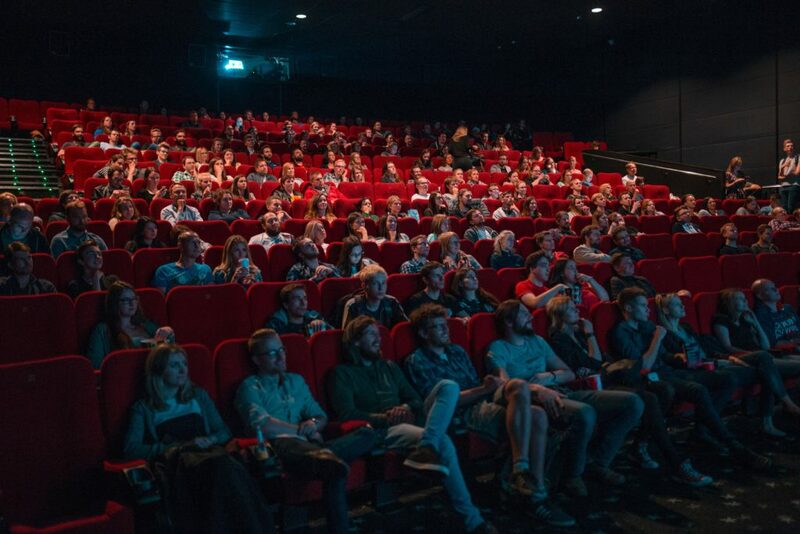 The study found that 67 percent of all moviegoers rank genre as influential when deciding whether they personally want to see a film in theaters. Additionally, 70 percent are open to watching a different genre when with friends and family, so also target your audience’s social connections. Once you’ve informed your audience about your movie, it’s time to run ads pushing for a sell. Use language that creates a sense of urgency, and run sale tickets weeks before opening night. According to Facebook, 68 percent of moviegoers decided to see the film before the day of the viewing. Additionally, 22 percent don’t decide until the same day of the movie, and nine percent don’t even decide what they want to see until they get to the theater. Your ads should link to landing pages that show users where they can buy their tickets at a physical location and where they can buy tickets online. Marketing both options is important. 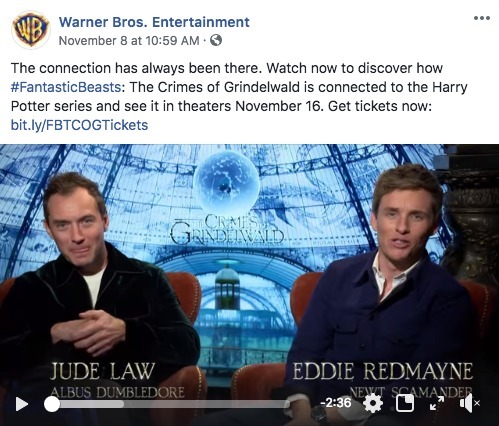 Facebook’s study found that 76 percent of moviegoers ages 18 to 34 buy their tickets at the theater and 27 percent buy tickets through their mobile devices. Additionally, 79 percent of moviegoers 35 and older buy their tickets at the box office. The bottom of the sales funnel is the phase after the hard push to sell. This is where you remarket to customers while refreshing your ads so they don’t experience ad fatigue. It’s also where you remove converted customers from the audience list so that those who already bought tickets will no longer see your ad. You want to avoid annoying your customers after they’ve already converted. That’s the primary goal of the bottom funnel: pulling back a little but still remarketing to those who are on the edge of converting. Now that you’re familiar with the different parts of the sales funnel, it’s time to build suspense for your movie with the right ad creative. 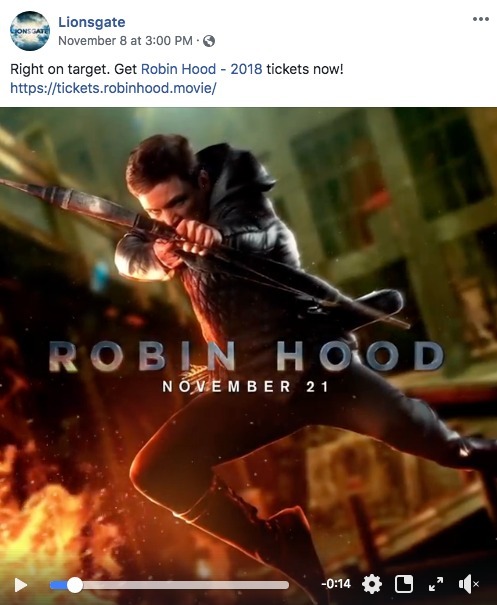 Advertising your movie isn’t as easy as 1, 2, 3, but as long as you have a strategy in place and as long as you stick to it, you’re setting yourself up for a full house at the theater. Don’t keep yourself in suspense. Get to work!